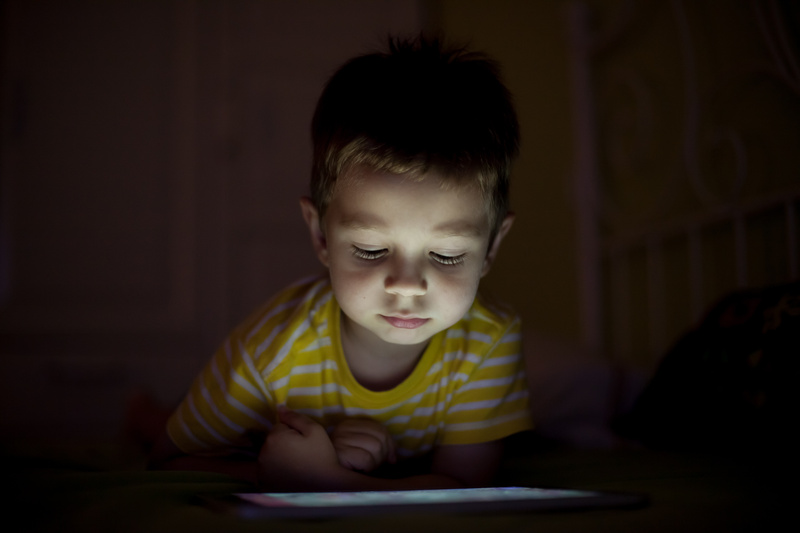 Digital Eye Strain describes a group of eye and vision-related problems that result from prolonged computer, tablet, e-reader and cell phone use. Many individuals experience eye discomfort and vision problems when viewing digital screens for extended periods. The level of discomfort appears to increase with the amount of digital screen use. The average American worker spends seven hours a day on the computer either in the office or working from home. 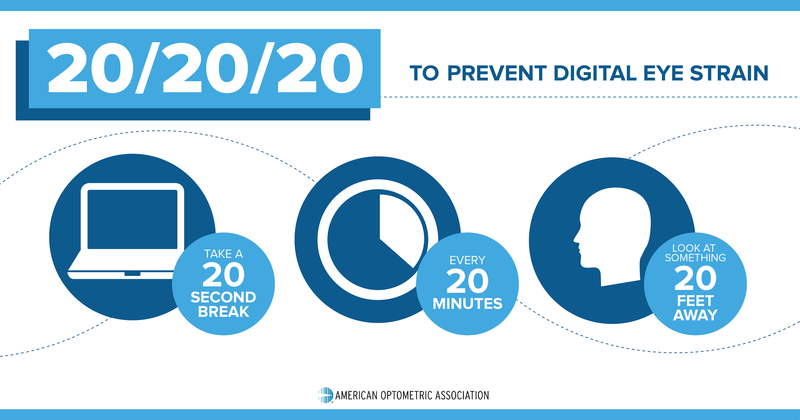 To help alleviate digital eye strain, follow the 20-20-20 rule. Uncorrected vision problems can increase the severity of Digital Eye Strain symptoms. In most cases, symptoms of Digital Eye Strain occur because the visual demands of the task exceed the visual abilities of the individual to comfortably perform them. At greatest risk for developing Digital Eye Strain are those persons who spend two or more continuous hours at a computer or using a digital screen device every day. Using the information obtained from these tests, along with results of other tests, your optometrist can determine if you have Digital Eye Strain and advise you on treatment options. Some important factors in preventing or reducing the symptoms of Digital Eye Strain have to do with the computer and how it is used. This includes lighting conditions, chair comfort, location of reference materials, position of the monitor, and the use of rest breaks.